My wife and I listen to XM's old-time radio programs (via a satellite link to our car, of all things). They often broadcast old commercials. In 1950 RCA offered a 15" black and white TV for $299. That's over $3000 in today's dollars. The thing probably got 5 channels, and if you lived in the sticks a wobbly high antenna might offer more static than picture. I think we paid $400 for our current 48" color unit that gets, via cable, a zillion (mostly awful) channels and is connected to the Internet, so tens of thousands of movies are but a click away. When I was seven I spent a week in the hospital for a hernia operation. (Which was wonderful, as my parents wouldn't let us watch Popeye, figuring it was too violent. For seven days I got to see that pirate's bulging forearms as he gorged spinach.) Today a surgeon assisted by a robot powered by dozens of microprocessors might make that an outpatient surgery with better outcomes. All of these advances, and many more, were empowered by science and engineering. 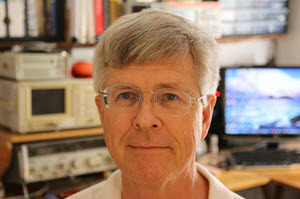 Public Seminars: I'll be presenting a public version of my Better Firmware Faster seminar outside of Boston on October 22, and Seattle October 29. There's more info here. Or email me personally. There's a discount for those registering before September 22. Latest blog: Thoughts on Firmware Seminars. The comments on initialised variables reminded me of a very obscure issue related to C99, MISRA and compilers. Visual Studio worked as I expected - it generated a fixed-sized array on the stack. The Texas Instruments ARM compiler wasn't smart enough to detect that "size" is constant, so instead generated a variable-length array which is allowed in C99 (no idea why!) and then decided to place it on the heap (the location of VLAs is not defined by C99). My application doesn't have a heap, so the code crashed. VLAs are prohibited by MISRA (rule 18.8) but my MISRA checker (Gimpel's PC-Lint) agreed with Visual Studio that the array is fixed-sized and didn't complain. Moral: stick to #defines for array sizes. Roberto Bagnara, a member of the MISRA working group, has a worthwhile paper about the standard here. I received the EE101 analyzer and after playing around with it for a while I have to say it's a fairly straightforward and useful tool. I have used Saleae logic devices in the past, and this is very similar. I find the streaming capture extremely helpful, in particular the seemingly unlimited capture window. I've run the device for several hours already with no hiccups. 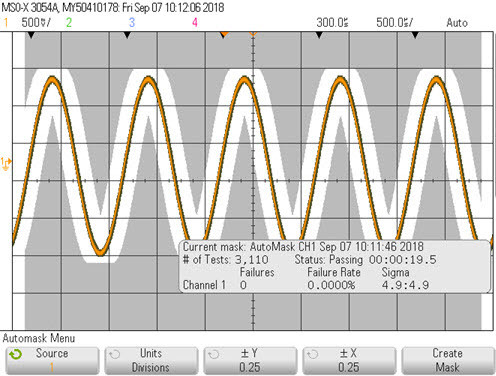 In addition, the analog channels are perfect for visualizing current profiles. If I had one nitpick, it's that the software doesn't run on Linux; although the website indicates support is planed for a future release. I can tell this will be a great addition to my tool box. 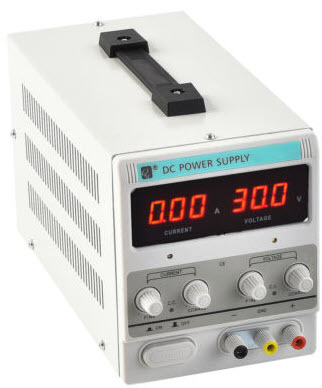 This month we're giving away a 30 V 10 A power supply. The contest closes at the end of September, 2018. Have you ever accidentally pressed the wrong button on a device and found yourself stuck in an unknown mode, without knowing how to get out of it? My mother is 83. She lives alone and has poor vision. When she drops the TV remote, she is unable to use the television until her grandson visits and "fixes" it for her. I own a handheld VHF transceiver that has 21 buttons and numerous modes. If I press the wrong button at the wrong time, it goes into an unfamiliar mode that I am unable to exit. Powering off the unit and removing the battery does not help. The device is designed to save every aspect of the current state whenever power is removed. So I have to pull out the user manual every time this happens. And that means if I go on a hike, I need to carry the user manual along with me. Provide a way for the person who is setting up the device to SAVE the user's preferred configuration. Provide a dedicated RESTORE button (physical or virtual) that is always available in any mode. Suppose that my mother drops her TV remote and then finds that it no longer works as expected. She simply presses the RESTORE button and everything is back to normal. Suppose that I am hiking alone in the woods when I slip and fall and break my leg. I am out of cell phone range, so I pull out my handheld VHF transceiver to call for help. I accidentally press a wrong button and get stuck in an unfamiliar mode. No problem. I simply press the RESTORE button and I am good to go. I think that manufacturers are missing an opportunity here. Who hasn't experienced the frustration of dropping a TV remote and then missing part of a favorite program because the device is stuck in a mode? Customers might not think to ask for a SAVE/RESTORE feature, but they sure would appreciate it. Joe: Last night I dropped the TV remote and missed the first ten minutes of the big game. Sue: We don't have that problem anymore. If we drop our Acme XG5 remote, we just press the RESTORE button and it's back to normal. I don't think you'd want to have a simple RESTORE button, because accidently hitting it would erase modes that you want, and it may have taken some time to originally configure the device to your satisfaction. After all, that's the point of modes. Perhaps it activates only on a long press. Or, you could bury RESTORE in a menu... and carry the manual around to figure out how to get to it! 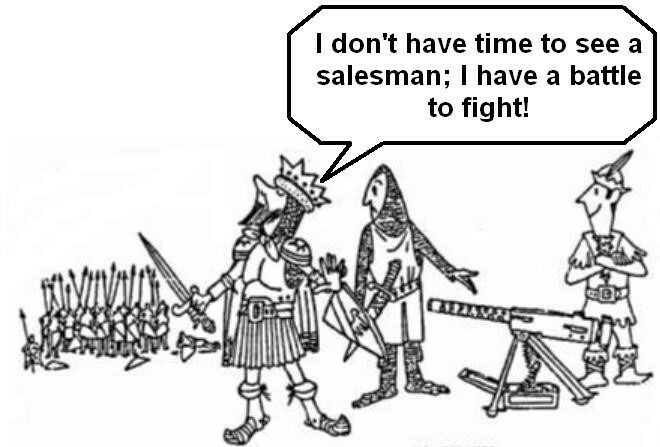 Turns out, products with huge feature sets turn people off. A study, Life Is Too Short to RTFM, suggests that many of us don't read the manual, and don't use most of a typical product's capabilities. The gray area is the mask. Note there's a little margin around the golden waveform; the size of the margin, in both the X and Y dimensions, is adjustable by the buttons at the bottom labeled ±X and ±Y. Note the marauding partial sine waves on the right. The scope stores the errors and shows them in red. The statistics are really useful. In the picture above, 67,047 tests were run over the course of seven minutes, and only 5 failed. It's hard to think of a conventional trigger that would capture this! There's generally a trigger-out from the scope where a signal is asserted every time a mask error occurs. That's useful for triggering other instruments; maybe another scope monitoring something else, a logic analyzer, etc. To my knowledge, no JTAG debugger has an external trigger input, which is a shame as the scope could trigger the capture of trace data when an error occurs. I have had the trigger-out generate an interrupt to the MCU and the debugger configured to do a trace-stop or breakpoint when that interrupt service routine was invoked. Then it's easy to see what code was running when the problem occurred. (And that's the fun part of embedded systems, in that the hardware and software are as intertwined the lovers in Rodin's The Kiss). Mask testing is a nice way to capture a metastable event. Metastability occurs when the data into to a flip-flop violates the setup or hold parameters of the part; that is, if the clock comes along at roughly the same time the data input changes. The flop's output might oscillate for a while, and then settle to a random value. In the following picture I've configured a 74ALS74 flip-flop to occasionally go metastable. It's clocking pretty fast so a metastable event would be hard to capture any other way. The mask test clearly shows the event. The red trace is the flip flop's D input, the blue the clock, and yellow is the output. There's about 2 ns between the D and clock. The part's spec requires 15 ns. Note that in 11 million tests, only 4 metastable events were detected. That is typical of metastability: usually the circuit works great... most of the time. It's normally hard to capture, but the masking feature took only a few seconds to set up on the scope. Fun aside: To inject the delay between the D input and the clock I drove the clock from the D signal over a short length of wire. Sliding the tap just 10 mm further out, increasing the setup time ever-so-slightly, ten billion captures later, there was one error. Though the circuit worked well almost all of the time, this shows the peril of violating the flop's setup time spec. Sometimes one has a zany waveform that varies all over the place, so masking will always show errors. It is possible to set a mask for just a small portion of an input while displaying a big part of the entire wave. 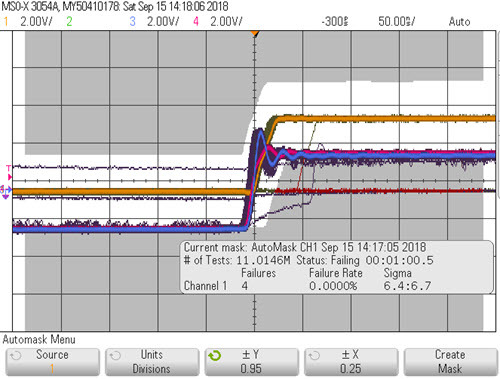 Crank up the horizontal sweep rate to show just the portion you'd like to mask-test, create the mask, and then reduce the sweep rate so you can see the entire portion of the signal you're interested in. The following video is an example. 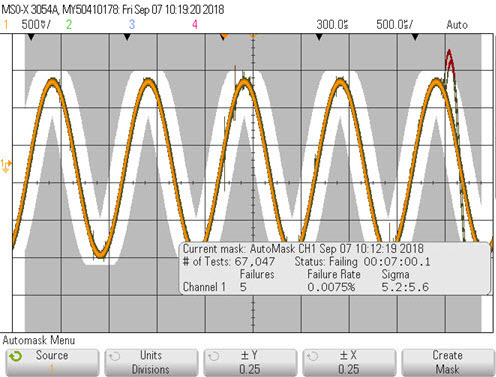 The mask test shows no errors even though unmasked parts of the waveform are all over the place. I filmed this video with a camera, as most (all?) scopes will capture screen shot stills, but not videos. Why is that? The scope takes a second or two to write a still to a USB stick, but a video could be queued to RAM and then written after the capture is done. On the Keysight MSO-X-3054A scope I used for these screenshots an error can be logged on the screen, as shown, and sweeps continuously reacquired. Or the scope can stop, or even save the trace. Better, it can display a measurement, like the exact width of the intruding bit of nastiness. 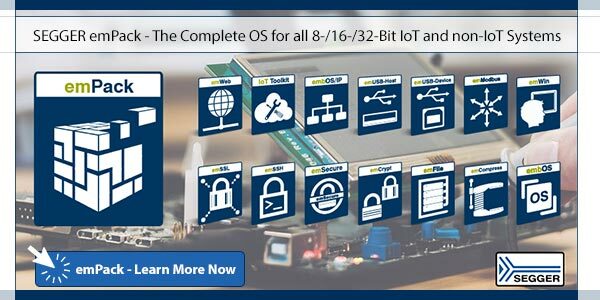 Circuit Cellar ran a PR piece about a new MCU from Maxim. 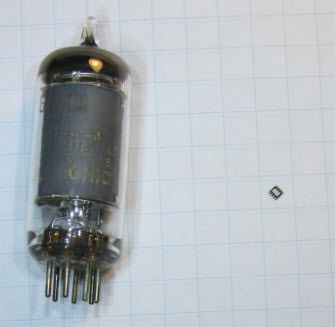 The picture showed a part much smaller than a fingernail. Alas, you can't get a datasheet without an NDA so I was unable to get any serious information about it. And it's not at all clear to me the value of running teaser pieces about parts whose specs are secret. But the picture of the tiny micro got me to thinking: what is the smallest MCU out there, excepting parts sold as dice? It appears Microchip/Atmel's ATtiny4-MAHR has this honor. The 8-pin 8-bit device is just 1.95 x 1.95 mm! Microchip sent a sample. The 6AU6A is a pentode - roughly equivalent to one transistor, though one with three control inputs. There are thousands (transistors, not 6AU6As) in the MCU. You can buy the tube for $8; the processor is half a buck in singles. And the MCU doesn't need 6.3 VAC for the filament! Update: Hours before sending this Muse, I got an email from Maxim about their MAX32660, an even smaller device, which is a Cortex M4 with FPU in a 16 bump WLP package that measures 1.554 x 1.572 mm. $2.95 in singles. Running at 96 MHz, it has 256 KB of flash and 96 KB of RAM. That's a lot of horsepower in such a tiny part. Any given program, by the time all the bugs are out of it, is obsolete. Any given program costs more and takes longer than originally planned, even when this law is taken into account. The sooner you start coding a program, the longer it will take.